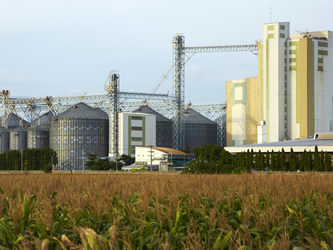 Since the BETAGRO GROUP started in 1967 with the production and distribution of animal feed, what was to become a thriving business empire has grown to become a leading group of companies in the integrated agricultural and food industry. 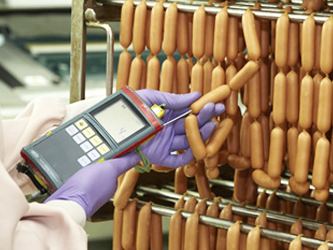 ประกาศรายชื่อผู้โชคดีกิจกรรม ITOHAM Find My Sausage หาให้ไว นับให้ทัน! รายชื่อผู้โชคดี "BETAGRO FAN MEET เปิดสัมผัสฟิน กินไส้กรอกกับพี่โป๊ป"
ประกาศรายชื่อผู้โชคดีจากกิจกรรม แชร์ Live สด! "BETAGRO FAN MEET เปิดสัมผัสฟิน กินไส้กรอกกับพี่โป๊ป"
ประกาศรายชื่อผู้โชคดีจากกิจกรรม "BETAGRO THE SUMMER SPIN"
BETAGRO Cage Free Egg. Happy hens, Better eggs. BETAGRO hygienic chicken meat is free from hormones and growth promotants that can be harmful to human health. This ready-to-cook product is also free from antibiotics and chemical residues thanks to meticulous quality control across the entire production process to ensure consumers enjoy freshness, food safety and hygiene. This fully cooked chicken recipe is made of hygienic chicken meat, which is meticulously selected and skillfully boiled to perfection with beautiful skin, extra-large size and tender meat. หยุดยาววันแม่ปีนี้...อิ่มอร่อยกับพิซซ่า 2 หน้าใหม่จาก “Pizza Hut” ที่ใช้วัตถุดิบคุณภาพจาก Betagro กับโปรโมชั่นพิเศษ ถาดแรก 199 บาท และ ถาดที่ 2 ในราคาเพียง 99 บาท เท่านั้น!! BETAGRO hygienic pork is naturally pink without the use of beta agonists. It is also free from antibiotics and chemical residues thanks to meticulous quality control across the entire production process to ensure consumers enjoy high quality and food safety.